The Buckfast strain is the ideal starter honeybee as they are easy to work with and have a very good honey production reputation. Our Buckfast nucleus colonies will amaze you with their strength and docility and are made up to British standards, supplied on 6 Hoffman frames with an F1 mated Buckfast queen, who is the mother of all of the progeny. The Buckfast breeder queens come from island–mated Buckfast stock in Denmark and are synonymous with quality. 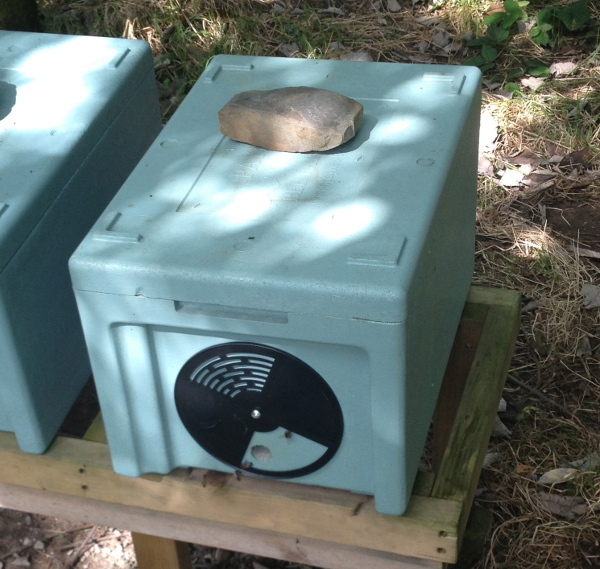 We also offer colonies of our fantastic local Yorkshire bees. Please contact us for more information. We can transfer your bees to your box in the days preceding collection or you can pay a £50 deposit on our box. We are certain you will be delighted with your new colony and so we add a no quibble, money back on return guarantee. We do that because we don't think we will ever need to use it. These are quality bees and deserve a quality approach. We take very good care of our bees and we are sure you will be repeat customers.